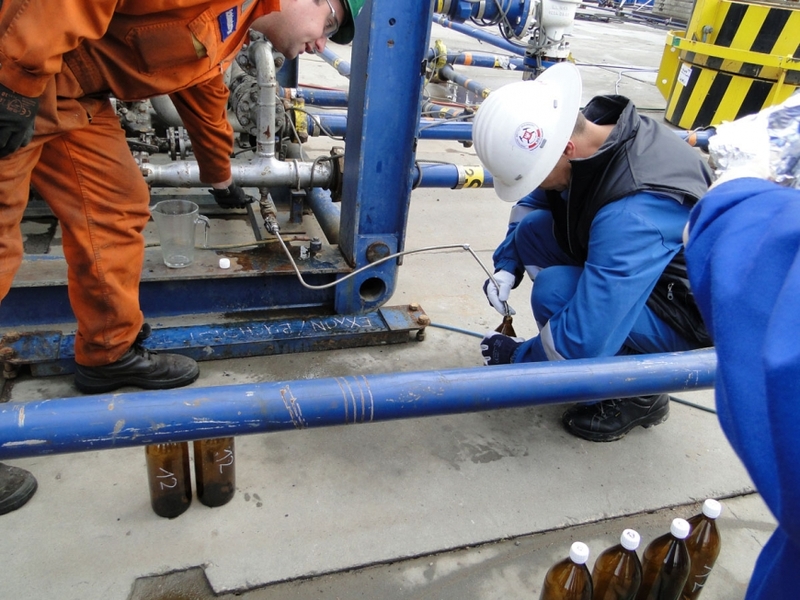 Teams from the Polish environment ministry and Polish Geological Institute sample fluid feedback while drilling the first shale gas well in Poland in August 2011 at the Łebień LE-2H well. The well is owned by Polish company 3Legs Resources, and drilling has been completed with the support of U.S. company ConocoPhillips. As of 2012, the Polish environment ministry has issued 111 licenses for shale exploration, including companies PGNiG, Lotos, Orlen Upstream, Chevron, Marathon and Talisman Energy. 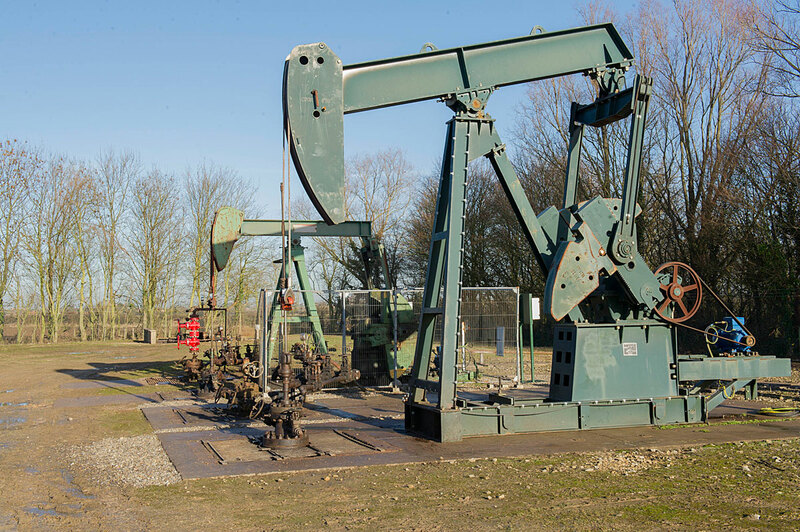 Nodding donkey pumps at the IGas onshore oil and gas site in Gainsborough, U.K. The Gainsborough area is made up of 11 IGas fields and a processing facility, several of which include shale. Prime Minister David Cameron visited the site in January to learn about shale gas collection, and announced the same day that councils can keep 100 per cent of business rates they collect from shale gas sites. 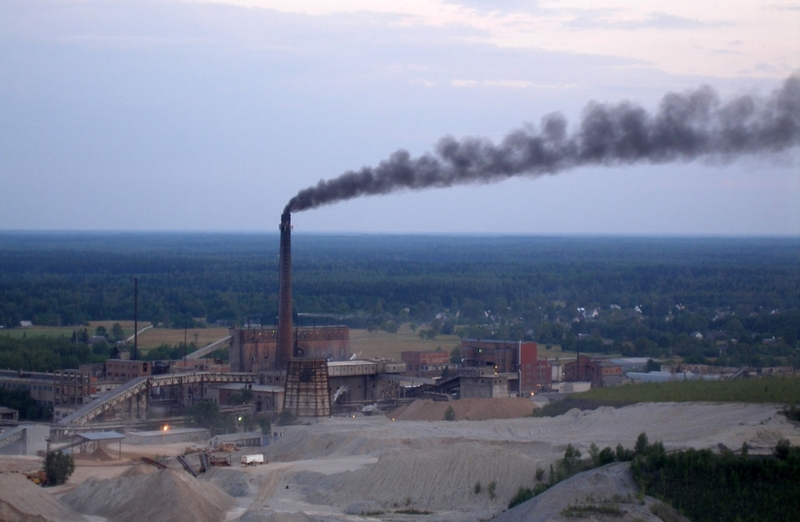 The Kiviõli oil shale processing and chemicals plant in ida-Virumaa, Estonia, operated by Keemiatööstuse OÜ. The project produces over 60,000 tonnes of oil shale per year, composed of 45,000 tonnes of S-1 shale oil, 7000 tons of shale road oil and 10,000 tonnes of road shale bitumens. It also produces 110 000 MWh of thermal and electric energy per year, powering the heating of Kiviõli town.